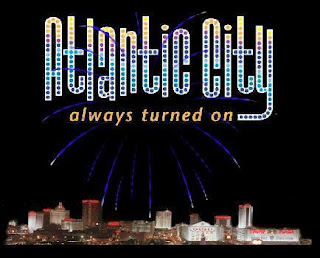 A-1 Carma is proud to offer luxury casino transportation to Atlantic City. Travel like a high roller to and from your bachelor party, bachelorette party, night out on the town, romantic getaway weekend or just to play your hand against lady luck! With one of the newest and most diverse limo fleets in New Jersey, A-1 Carma can provide you with the stretch limo (or limos) you require, and accommodate as many passengers as you need. Whether you like to go to The Taj, Ballys, Borgata, Mohegan Sun Casino or Foxwoods Casino for a day, evening or to spend a few days at the casinos, our round-trip car service limo pricing are just the thing for you. Which ever casino limo package you choose you can rest assured that we will provide you with unparalleled personalized service and meet every challenge with the utmost attention to detail. With all the risks of drinking and driving your decision to use a limousine service is a responsible and indispensable one. So sit back and enjoy the VIP treatment in one of our luxurious limos. Let us do the driving and you do the partying! We offer different Casino limo packages and we are certain there is one to suit your needs, please call your A-1 Carma reservationist for details and be sure to ask about our monthly limo service specials.